1 – The Summer Academy of Music is being presented by Internationale Sommerakademie Lüneburger Heide e.V.. It will take place in its 10th edition from July 4 – 14, 2019, and is primarily addressing music students and young musicians engaging in professional music education. 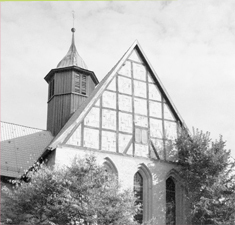 It takes place in Uelzen, Germany, and surrounding communities. In principal, there is no upper age limit. However, music studies should not have been finished earlier than three years prior to the Summer Academy. The Artisic Director may make exceptions from this rule on an individual basis. All materials will be checked by a committee and applicants will be selected for participation according to their qualification. * if capacity allows, more sessions are possible, provided that both the Chamber Ensemble, or the Chamber Orchestra respectively, and the artistic director agree. ** some lessons and performances will take place in Uelzen and surrounding communities. All necessary local transportation will be organized according to need and will be free for the participants. Participants are responsible for their travel to Uelzen, Germany, themselves. The Summer Academy will provide detailed travel information on request. 800 Euros for participants who take lessons with one teacher. Multiple courses cost 700 Euros per each chosen teacher (two courses = 1400 Euros, three courses = 2100 Euros etc. ), and 700 Euros for each member of a participating chamber group.The respective course fee for each participant is all inclusive and there will be no refund if participants make use of only part of the offered service (in particular, but not limited to: accomodation, late arrival, early departure, no collaboration with the Chamber Ensemble, or Chamber Orchestra, or the Performance Coaching). 3 – The piano faculty constists of Hinrich Alpers, Konstanze Eickhorst, Bernd Goetzke, and Jerome Lowenthal. The strings faculty consists of Stephan Picard (violin) and Troels Svane (violoncello). In piano, application for more than one class is possible, provided that capacity allows for it. The full number of lessons for each respective teacher is guaranteed. Should the desired teacher (or teachers) be fully booked already, the applicant will be contacted by the Summer Academy and the application will be accepted for another available teacher. It is not possible to distribute the four lessons of a single masterclass among several teachers unless the Artistic Director offers so for organizational reasons. Some members of the faculty may be present for only part of the Summer Academy period. However all participants will of course be entitled to the free-of-cost accomodation, full board and all other offers of the Summer Academy (see # 2) the entire time. 4 – Free accomodation at the Jugendbildungsstätte Oldenstadt is available to each participant. There are 2-, 4- and 6-bed rooms. Guests can be brought according to capacity, however, a fee of 40 Euros per person and night (including full board, see # 2 d) will be charged. If the accomodation is fully booked, participants will be given priority over guests. It is recommended that applicants inform the Summer Academy well ahead of time about their accomodation wishes, even though guarantees cannot be given by the organization. On request, accepted participants receive a list of all participants including email adresses in order to allow for arrangements for sharing rooms. Participants may also book their own accomodation at their own expense. The Summer Academy will provide a list of hotels and youth hostels on request. The online application system will automatically display those chamber works which are available according to the chosen instrument. 6 – Applications are accepted online at www.summeracademyofmusic.com. The number of spaces for participants is limited – therefore, a preselection may be necessary, based on the submitted application material. Only for the piano masterclasses, a recording containing repertory freely chosen by the applicant needs to be submitted. We prefer Youtube links (or links to other free platforms) over CD, MD, DVD. A request to all applicants: please try to make sure that the size of email attachments (photos, scans etc.) does not exceed the size of 1 MB. Internationale Sommerakademie Lüneburger Heide e.V. 8 – The application deadline is June 1, 2019. The application is binding. It is only valid after all necessary documents (see # 6) have arrived and the application fee (as resulting from # 2) has been received by Internationale Sommerakademie Lüneburger Heide e.V. on its bank account (see #7). All applicants will be notified by email as soon as their application is complete. They will be notified by June 5, 2019 whether or not they have been accepted as participants. Upon request the Summer Academy will able to send letters of invitation prior to the application deadline to applicants who need extra time to apply for visa (you can let us know whether or not you will need a visa by clicking the respective button on the application form). Those letters of invitation however are provided for convenience and are not to be considered an official confirmation of participation yet. Applicants who have not been accepted will receive their application fee (less 50 Euros handling fee) back. Upon withdrawal by a participant, the application fee (less 50 Euros handling fee) will be refunded only if the course(s) booked by the applicant can be given to another applicant. 9 – A limited amount of scholarship money is available on a first come – first served basis, paid as support of travel costs. Applicants may submit a short statement of interest with their application. The selection committee will approve or decline. Furthermore, concert scholarships may be awarded following the Summer Academy of Music for outstanding performances. The artistic director and course teachers will deliberate upon prizes and concerts to be awarded. 10 – Place of jurisdiction is Uelzen. This English translation of the terms of condition has been provided for convenience. In case of any dispute, the German version shall be binding.